Agricultural Research Service (ARS) scientists in Florida are helping a company develop a small plastic pouch designed to make produce safer. The pouch releases chlorine dioxide gas, which eliminates Escherichia coli bacteria and other pathogens from the surfaces of fruits and vegetables. 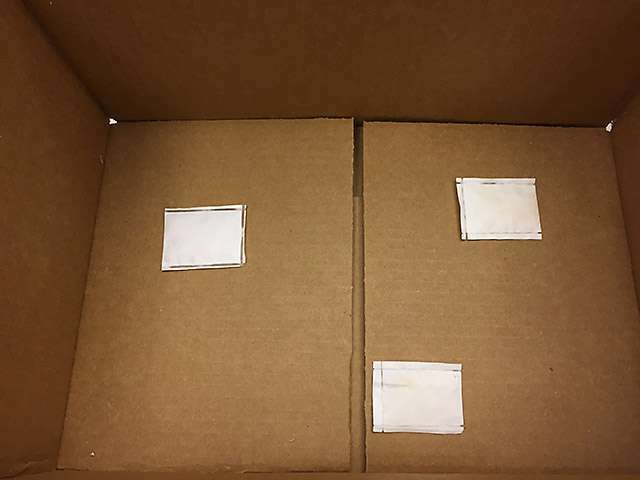 The pouches are about half the size of a credit card and can be packed into shipping containers. The manufacturer, Worrell Water Technologies of Delray Beach, Florida, hopes to market them to wholesalers and packers of produce in the United States and overseas. Plant pathologist Jinhe Bai and his colleagues at ARS's U.S. Horticultural Research Laboratory in Fort Pierce, Florida, worked with Worrell to develop the pouch. The pouch is a new product for Worrell, a company that markets water-purification technologies. In preliminary research, Bai and his colleagues found that the chlorine dioxide gas could be released too quickly, which could cause chemical burns on the fruit. The pouch was redesigned with a semi-permeable membrane that vents the gas at a slower rate. "We helped test the pouch with the new design and found it vents at a more controlled rate and has the desired effect," Bai says. Bai's research focuses on finding ways to reduce pathogen contamination of produce. At least 25 percent of the fruits and vegetables produced worldwide are lost after harvest because of spoilage from microbial contamination, Bai says. And E. coli and other pathogens on the surface of produce can cause illness if the produce isn't well washed or cooked. As a preventive measure, sanitizers are often used to kill microbes on produce. U.S. food processors add chlorine to the wash water. In Europe, chlorine dioxide is sometimes pumped into storage rooms to sanitize produce. But chlorine dioxide packaged in a proprietary, plastic pouch for use by produce packing houses and wholesalers is a first. 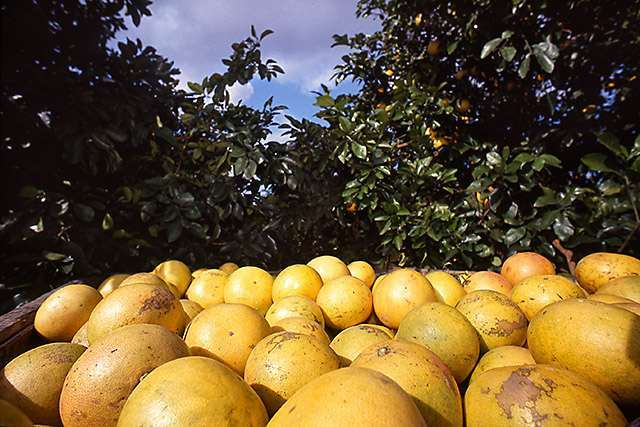 When Bai and his colleagues put the pouches into cartons of grapefruit using typical packing, shipping, and storage conditions, they found 10 times fewer bacterial and fungal pathogens than on grapefruit stored without pouches. A panel of ARS volunteers in Fort Pierce found that the treatments didn't change the appearance or taste of the grapefruit. Other laboratory tests showed a 100,000-fold reduction in E. coli levels in inoculated grape tomatoes stored with the pouches, Bai says. The pouches have potential to sanitize other produce besides those tested, but further studies are needed to assess their effectiveness on specific fruits and vegetables. The pouches cost a few cents, and only one to three are needed per crate or carton, so using them shouldn't add much to the price of the produce. Bai collaborated with Worrell under a cooperative research and development agreement. The company helped finance another study evaluating the pouches and anticipates federal regulatory approval for their use in the near future. Study results were published in HortScience. What's the best way to wash microbes off your produce?